Broaden your reach and increase your success with the Jacko pen! It's got a click top and a colored rubber grip for comfort. 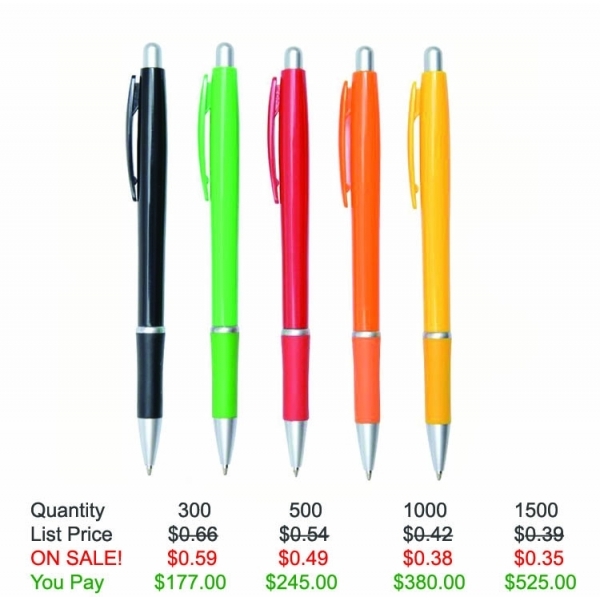 It also comes in six vibrant colors that will help separate you from your competition. 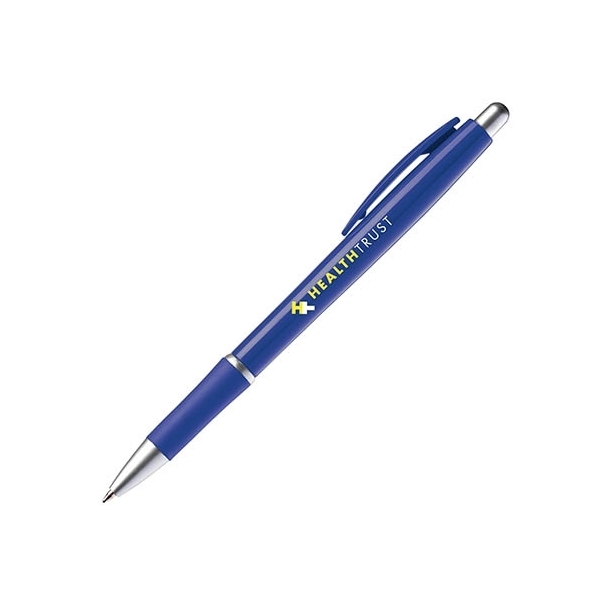 Use our silkscreen method to add your company name or logo to this and let clients choose their favorite color. What a great way to put your name out there. Order now and get started with a great promotional strategy. Save on this custom pen with FREE setup, FREE rush service, FREE artwork and FREE shipping. 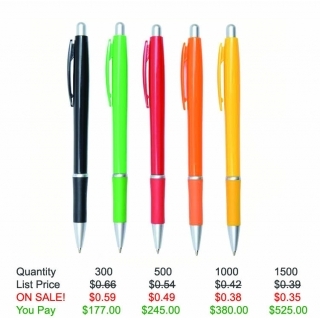 Product Features: Colored rubber grip and comes in six vibrant colors. Item Color: Blue, Orange, Green, Black, Red, Yellow. Imprint Location: First location barrel, second location clip.